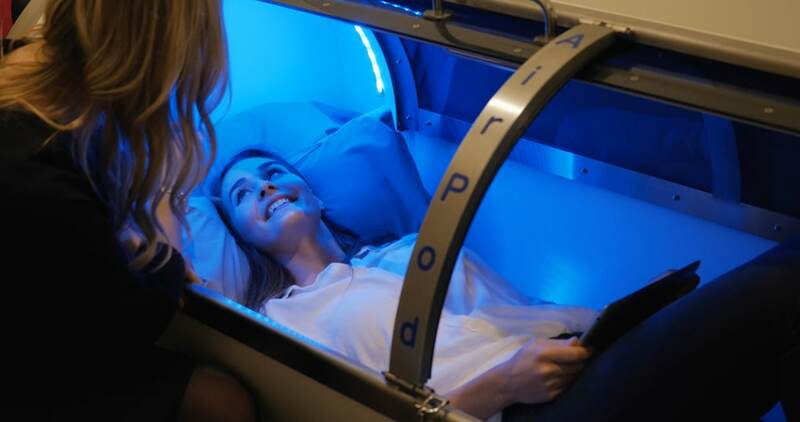 The AirPod is a new type of Mild Hyperbaric Chamber which enables patients to comfortably receive a therapeutic level of oxygen flow in a setting which is comfortable, bright and relaxing. Much like our state-of-the-art Far Infrared Sauna, this treatment is natural, gentle and highly effective. There’s a reason that Olympic level athletes have been using Mild Hyperbaric Therapy at professional level to speed up recovery. Mild Hyperbaric Therapy is known to aid swelling, inflammation and repair tissue and can be used for general wellness by reducing stress, improve concentration and mental clarity. This is why top athletes use the system to regain optimum physical condition after intense sessions. As a cumulative therapy you will enjoy results from the AirPod after multiple sessions, where you’ll start to notice a reduction in pain, swelling and inflammation of problem tissue areas. For example, if you’re recovering from a painful injury, your Naturopath might recommend 4 or 5 sessions in the AirPod to increase blood flow to the injury area, deliver nutrients and promote stem cell growth. Here at The Tonic Tree we use the latest in Japanese wellness technology, Airpod. Oxygen is critical in aiding the the repair of our bodies damaged cells however, the human body is limited in how much oxygen it can deliver to rejuvenate and repair cells and tissue. The increased pressure then forces the oxygen deeper into oxygen-starved cells and tissues. What does the AirPod feel like? The pod is a comfortable, relaxing and meditative experience. Once inside the chamber it will gradually pressurise over 5 minutes. You may feel the need to clear your ears to adjust to the pressure. Once pressurised, a steady flow of compressed, filtered air keeps the AirPod chamber comfortable. Doing this over multiple sessions can promote healthy recovery that isn’t available from other therapeutic methods. The Mild Hyperbaric Chamber increases the levels of oxygen in and around the body by purifying the air inside the chamber and increasing the pressure around the body tissue by up to 3 times normal air pressure. The beauty of the AirPod is that it is a gentle, non-invasive, relaxing form of therapy that may also reduce stress and promote general well-being. Book a consultation with our Naturopath to find out if Mild Hyperbaric Chamber Oxygen Therapy could aid your recovery from a debilitating condition which you haven’t yet been able to solve.